DENVER — Colorado Republicans could be forgiven for thinking that several years of fiery political contests over abortion and reproductive rights, which helped Democrats win several elections in this socially liberal swing state, were behind them. Then, last year a pregnant woman close to giving birth was gruesomely attacked with a knife, and a few months later an anti-abortion zealot opened fire at a Planned Parenthood clinic in Colorado Springs, killing three. Think those cases won’t affect the 2016 races? Think again. Abortion and reproductive rights are never far from the nerve in this battleground state, where party affiliation is roughly even between Democrats and Republicans and statewide contests often come down to the votes of suburban women who belong to neither party. That key demographic generally favors moderate candidates who back conservative spending but also abortion rights. With a U.S. Senate seat and control of the U.S. House delegation on the line in Colorado, plus the prospect of Hillary Clinton becoming the first major party female presidential nominee, gender politics could easily make the difference. Battle lines have already been drawn in Colorado’s hottest contests. In the U.S. Senate race, Tim Neville, a Republican state senator from Littleton, kicked off his campaign against Democratic incumbent Sen. Michael Bennet by talking about abortion politics. “When an organization like Planned Parenthood ignores the law, kills the unborn, sells their body parts for profit, and we have both parties that can’t even come together to end this tragedy, we have an issue with leadership,” Neville told supporters, referencing videos taken by anti-abortion activists they said showed Planned Parenthood personnel negotiating the sale of fetal organs. Bennet likely won’t mind if the debate stays on Planned Parenthood. Bennet’s victory ensured that Democrats for the next five years would try tying Republicans to the “personhood” movement. The focus on reproductive rights grew so intense that during the 2014 Senate campaign, reporters and Republicans derisively dubbed former Sen. Mark Udall “Mark Uterus.” Udall was defeated for a second term by Republican Cory Gardner, who once supported a “personhood” measure but convincingly told the public he’d changed his mind. The Udall defeat was seen by many as the last time Colorado Democrats would focus so heavily on reproductive rights. But events have dictated otherwise. 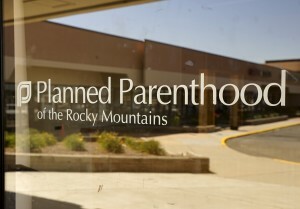 In addition to the Planned Parenthood shootings, motivated apparently by the confessed gunman’s opposition to abortion, Colorado is preparing to try a woman accused of cutting an unborn baby out of a nearly eight-months-pregnant Longmont woman last year. The baby did not survive. The accused attacker goes on trial this spring in a case Republicans are saying highlights the state’s inadequate penalties for killing unborn babies. Women’s reproductive rights are playing out in a pitched congressional contest, too. Democrats are trying to oust a suburban Republican, Rep. Mike Coffman, who joined Republican colleagues last year and voted to defund Planned Parenthood. The contest will likely determine which party controls Colorado’s U.S. House delegation, where the GOP currently has a 4-3 edge. Democratic contender Morgan Carroll, who is challenging Coffman, called his Planned Parenthood vote “appalling.” She has received the backing of Emily’s List, a national political group focused on electing Democratic women who support abortion rights. Inspired by the attack on the pregnant woman and the Planned Parenthood shootings, the Colorado Legislature this year is going to offer plenty of opportunities for candidates to score political points on women’s reproductive rights. Lawmakers will debate an outright ban on abortion, along with a GOP plan to make killing a fetus eligible for a homicide charge. Democrats, meanwhile, will be defending a plan by the Democratic administration to use tax money to increase teenage access to long-acting reversible contraception such as intrauterine devices. Top lawmakers have made clear that they’re digging in their heels on the topic. Democratic House Speaker Dickey Lee Hullinghorst said in her opening-day remarks that Democrats would block any attempts to ratchet back reproductive rights. “We will defeat these ideologues and opportunists,” she said of abortion opponents. And Republican Senate President Bill Cadman told reporters he’d again lead the charge for a bill to allow murder charges in the killing of an unborn child. Most Colorado lawmakers in both parties would prefer to stop bickering over abortion rights. But with the state so divided politically, the Legislature this term will often turn into a proxy fight for votes based on abortion and reproductive rights.